Buy 1-9 pounds for $16.50 per pound. Buy 10 pounds and over for $13.75 per pound. Flax Type R is a very high quality flax from Belgium and is in fiber form. 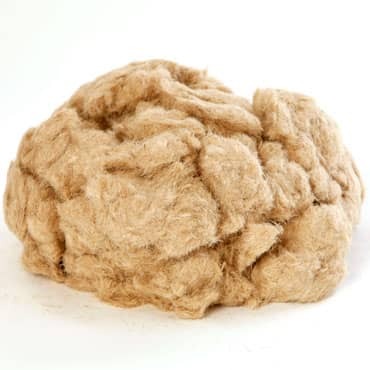 It has very little straw and is cut into 1/4 inch lengths, making it easy to beat in a Hollander beater. Flax is a bast fiber from the plant Linum usitatissimum, from which linen cloth is produced. Flax can be used to make incredibly strong, translucent paper, and can be excellent for pulp painting when beaten a long time in a Hollander. Also, with very long beating times, flax exhibits a high degree of shrinkage, a property that can be utilized in creating 3-dimensional forms. This flax is also used by many paper conservators to make archival book paper. For archival paper, the flax should be cooked in alkali. To take advantage of its shrinking properties, do not cook the flax. 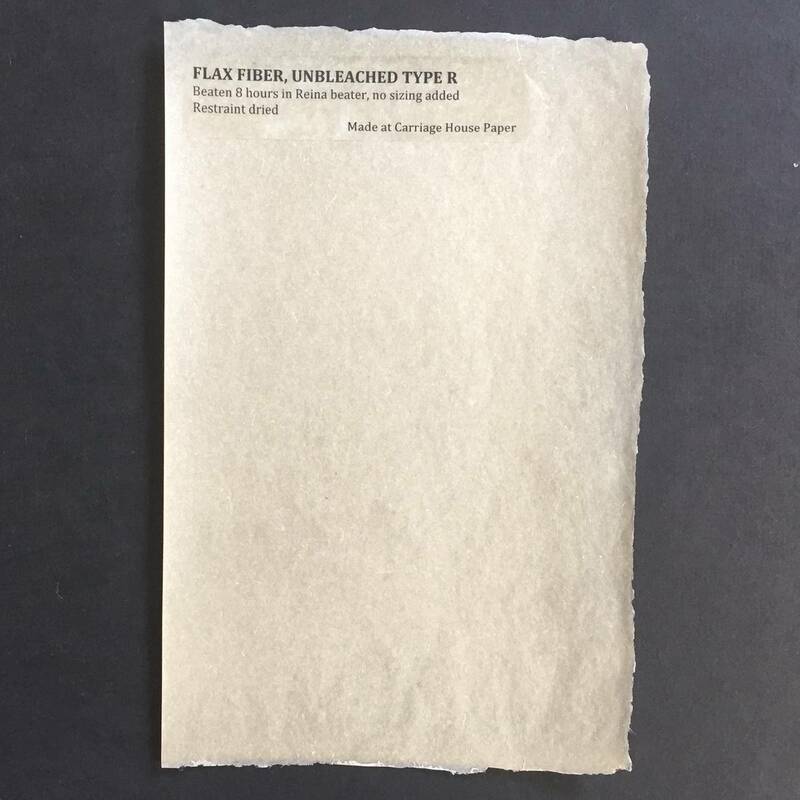 Type R flax is our favorite fiber at Carriage House Paper.